Promising youngster working IWRG shows at Arena Naucalpan. 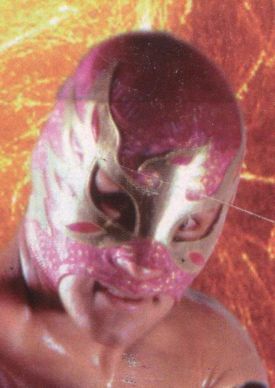 First appeared in 2006 and got an instant push which included winning the yearly Castillo Del Terror match and thus the mask of Macho II. Took a break from wrestling in 2007 either due to personal reasons or a name change and when he returned he dropped the Ave part from his name. This page was last edited on 2 March 2011, at 10:06.